Friends of Wyke arranged a mufti day and cake sale to raise money for charity. 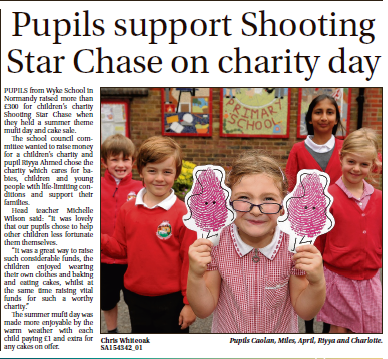 The pupils voted on the charity they wanted to support and Shooting Star Chase was chosen. The charity cares for babies, children and young people with life-limiting conditions and supports their families. Well done for raising £337.67!